Register to participate in a live panel discussion on Thursday March 28th, 2013 2PM EST or watch on-demand. All manufacturing, production and process organizations are under significant pressure to maximize equipment reliability and performance. 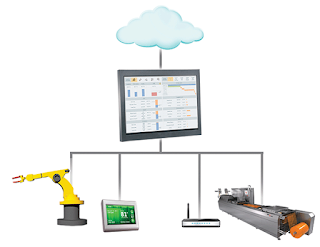 Learn how to capture and deliver critical equipment efficiency information in real time enabling the manufacturing or process team to improve plant performance and productivity. Do NOT miss this opportunity to learn more about Operational Data Collection and its significance for helping you achieve competitive advantage for your business. Elliott has over 20 years of experience with industrial software, primarily with process historians, business system integration and operations intelligence applications. As a product manager, he is responsible for setting the direction for the Wonderware information solutions, including the Wonderware Historian. Working with customers, business partners, and the Wonderware development and support teams, Elliott works to identify market problems, define product requirements and prioritize enhancements. Andrew Barker Director of the Controls Division, Callisto. Andrew has been working at Callisto for 10 years and has a passion for taking complex software integration programs and getting them 'done-done' across different stakeholders, clients and continents. Andrew's has had many careers in one company: First as a programmer/analyst, then team lead, then driver of a key client relationship realizing a triple-fold increase in business in three years. His latest engagement is as the director of the controls division at Callisto where he manages a portfolio of people and clients and programs where 'we are in the business of successful automation projects. Walt has more than 30 years of experience in sales, sales management, marketing, and product development in the automation industry both for sensors, devices and control systems for industrial and environmental controls, including Executive Committee and Board experience in several companies. Walt currently is serving as Editor-in-Chief of CONTROL and www.controlglobal.com. Because of his broad subject matter expertise and business experience, he is uniquely qualified as a global automation industry analyst. He serves as Principal of Spitzer and Boyes LLC, as an expert at business transformation for small to medium-sized companies.